A common irritation of ticket buyers is the additional fees added on top of their ticket price. What does this fee pay for and what are they allowed to charge? What Do Additional Fees Pay For? For some it is a great source of annoyance. I am already paying a lot of money for my concert ticket, and now I have to pay another 20% for these mysterious ‘booking fees’, ‘service charges’ or ‘handling fees’. What do these ‘middlemen’ do to deserve such a healthy cut? Charges can vary significantly between concerts and agents. Whereas the price of the ticket is decided by the event organisers, the additional fees are set by the individual booking agencies. Not only does the price vary between each agent but also so do the explanations for what the charges pay for. These could include paying for the agent’s distribution network, telephone lines, staff, maintenance of computer hardware and software, credit/debit card commissions, anti-fraud procedures and countless other costly factors associated with running a business. Ultimately, regardless of whether the additional fees are necessary or just plain exorbitant, it is difficult argue against the fact that ticket agencies provide a service and so must make a living out of it. At least when customers are charged for ticket postage costs and credit card fees, they know what they are paying for. Even so many ticket buyers are irritated by the fact that certain larger ticket agencies, such as Ticketmaster, can charge around £1.50 for a second class ticket delivery stuffed with advertisements. When Is The Charge Too High? Although it is impossible to gauge exactly what you should be paying in additional fees, it is important to at least recognise when a ticket agency is charging you too much. When purchasing tickets it is advisable not to blindly accept the total cost. Make sure to always check the face value of the ticket and work out what you are paying in administration fees. You should never be charged over 25% of the ticket price. Ticket buyers who order their tickets online or over the phone using a credit card, and then have them delivered, should expect to pay the largest administration charge. Whereas those who purchasing tickets from the venue’s own box office should pay the least in charges, because the least administration is involved. The best way to avoid paying excessive fees is to buy from the venue directly rather than through an out-sourced middleman. 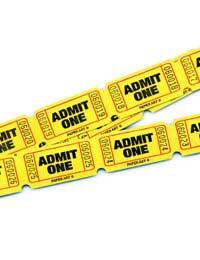 When buying any event tickets always check the venue’s own website to see if tickets can be bought directly from them. An even better option is to buy the tickets in person from the venue. For example if you want to attend an event at London’s Astoria in the West End then you will pay nothing in booking fees if you buy the ticket at the venue box office. For the same ticket delivered to your door you could pay well over £5 at one of the major ticket agencies. Of course if the venue is not conveniently located or is only selling tickets through an agency, then this is not always possible. In this case it is worth trying to find a smaller ticket agency through which to purchase rather than rely on the big agents. It is easy to forget that although Ticketmaster dominates the world of ticket sales, it is not the only outlet. There are many different agencies from which to buy tickets from, some with excessive and some with very fair charges. Who are the Ethical Ticket Sellers?